Homeschool planning season is typically an exciting time of year for parents. We get to get out our planners, write up lesson plans, and schedule our days to make sure we cover all of the objectives for the year. Over the years, I’ve tried so many different homeschooling schedules I’ve lost track of them all. None of them worked. Not one. So I’ve learned a few ways to tweak our school day so that my kids can keep up, stay interested, and enjoy what they learn. 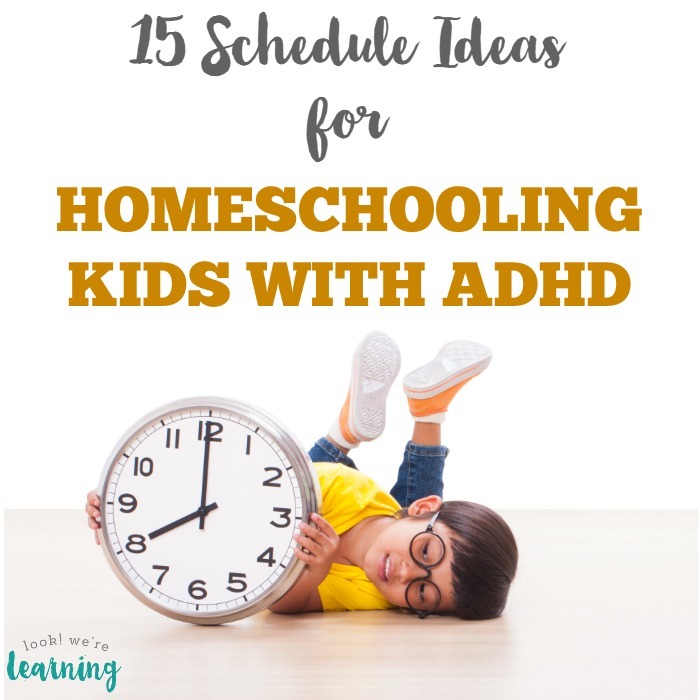 Here are 15 different homeschool ADHD schedule ideas that have worked for us and may work for you too! 1. Alternate sit down subjects with moving subjects. 2. Incorporate brain breaks every 20 minutes. 3. Use video liberally – teach for 10 minutes, then show a short video about the concept. 4. Add games into each subject: flashcards, drawing, balance games, call-and-response games, etc. 5. Do the subject your child hates first. 6. Or do the subject your child hates last. 7. Separate your kids for complex subjects and rotate them. 8. Have school in different areas of the house during the day. 9. Use the car for roadschooling. 10.Have a school lesson outdoors. 11. Ask your child which subject they’d like to do first. 12. Alternate weeks for certain subjects. 13. Drop an elective your child hates. 14. Use the library for a different subject each week. 15. 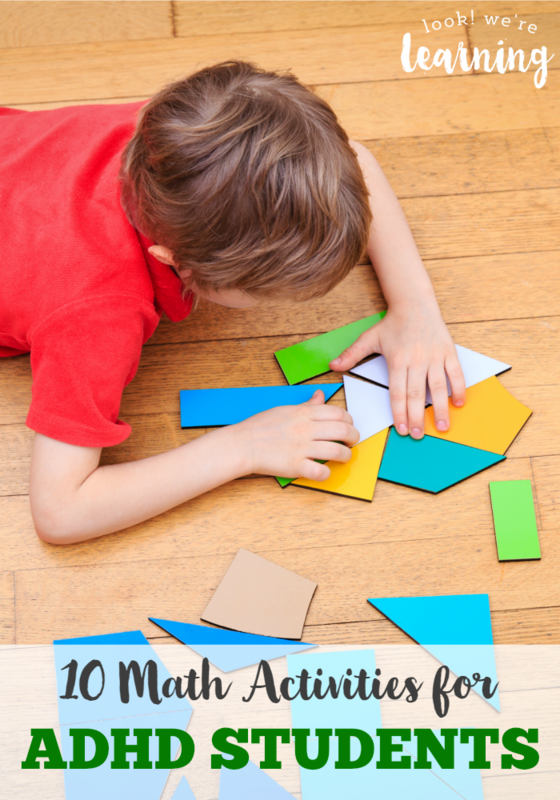 Observe your child’s maximum attention span and time lessons to match it. I’ve used all of these at one time or another. This year, we’ve been using a combination of Numbers 1, 3, 6, 7, 9, and 12. Alternate sit down subjects with moving subjects. – I usually begin the day with reading. We sit down with books and listen to someone reading to us. Then we get up and do a project or a craft – anything that lets them move. Use video liberally. – I rebelled against using video in my schooling for a long time. I think I’m just old-fashioned. But it makes such a big difference in helping the kids retain what they learn. I try to introduce the topic and give them questions to look for the answers to in the video, then we discuss it. Do the subject your child hates last. – My oldest daughter hates math. I tried doing it first with her, but that didn’t work. She’d delay so much that we’d never get to the other subjects. Now we do it last and that seems to work better. Separate your kids for complex subjects and rotate them. – When it’s time for my oldest to do math, she needs complete concentration. So I send my younger ones off to play in their rooms. In the morning, when they’re doing math, she’s in her room working on writing. Use the car for roadschooling. – I have just recently discovered the wonder of audiobooks and they are a lifesaver. If I have to leave the house for a while, I have the kids bring their books and they listen as we ride. Then we discuss what they’ve read. Alternate weeks for certain subjects. – I no longer try to cover every single subject every single week. I typically do history one week, geography the next, and the science the week after that. While I make sure the three R’s are done regularly, I take a break on the others. It’s less overwhelming for the kids and for me. 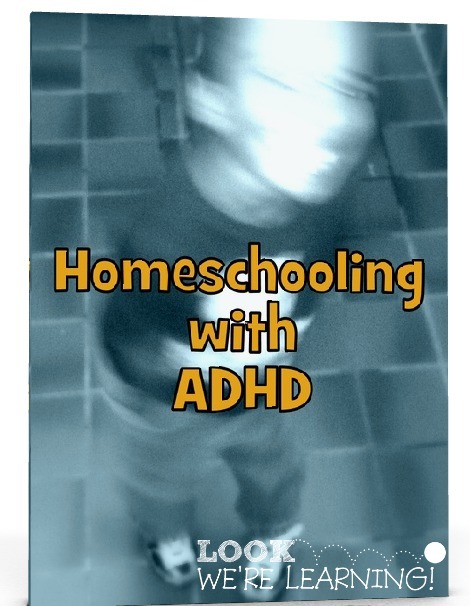 How have you adjusted your homeschooling schedule for your kids with ADHD? 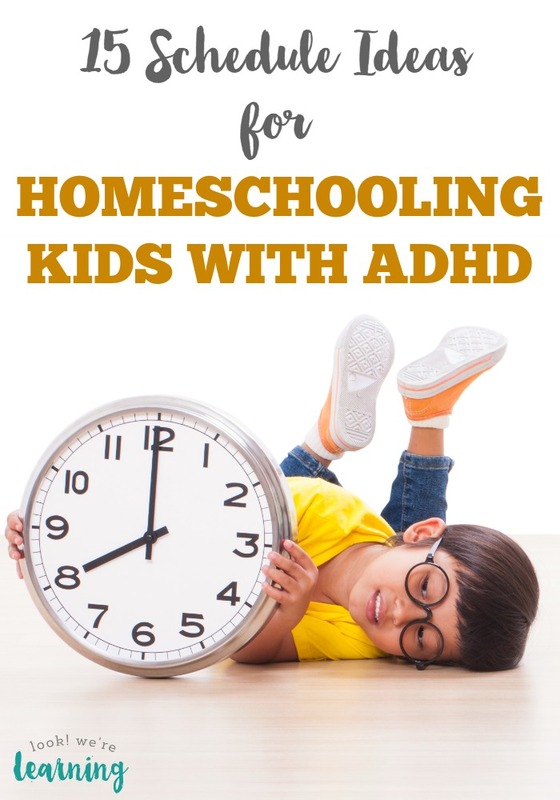 Do you have any tried and true homeschool ADHD schedule ideas to share? Let me know in the comments! 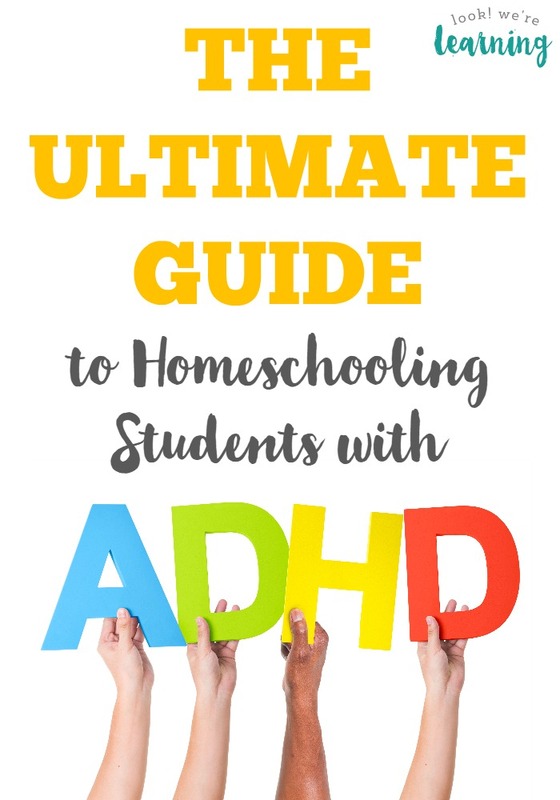 Get more ideas for homeschooling kids with ADHD! And learn even more in our ebook: Homeschooling with ADHD! Follow my ADHD Tips board on Pinterest for more tips and suggestions! 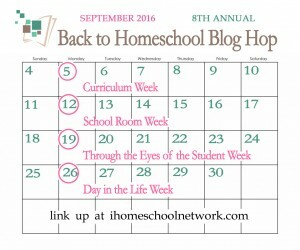 This post is part of the 8th Annual Back to Homeschool Blog Hop from iHomeschool Network! Click on over to read more homeschool posts from my fellow bloggers! Using videos abundantly helped a lot here. So much that we actually switched to an online curriculum for my older daughter (Time4Learning). A lot of reviews said older kids didn’t like it or found it corny. It’s perfect for my 14 yr old who’s attention is grabbed easily by corny. I like your idea of sit/move. I’ll have to work on that! I’ve been using Abeka DVDs with my first grader this year who was also recently diagnosed with ADHD combined type. The DVD lessons can be lengthy, especially math( typically about 45 minutes long). When you take into account seat work and the separate writing lessons there is a LOT of writing. These are the two subjects that cause the most meltdowns around here. I think Abeka has great curriculum but I wanted to share some of the obstacles we’ve faced with it.